With WPUF Free 2.9.0, admins can integrate WPUF with The Events Calendar plugin. Users will be able to create events from the frontend directly using this integration. With WPUF PRO 2.8.2, the full version of the form can be used with additional fields. 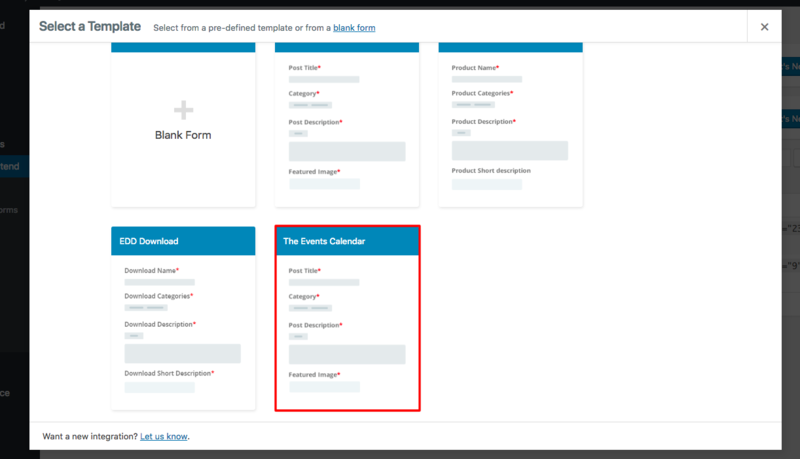 This integration comes with a default built-in template that uses the Events Calendar Form. And this is fully customizable also. To start using, Admins go to wp-admin→User Frontend→Post Forms. Click on Add Form. Select The Events Calendar built-in template from the modal window. When you click on the template, the form builder will open up with the default fields. These fields are removable, and you can also add more fields to the form, and edit as you like. Once edits have been made, Enter a Title, Save the form and Publish it in the normal way through wp-admin→Pages→Add New→Add Form. Select the Events Calendar Form you just created from the drop-down. Click on Insert Form. 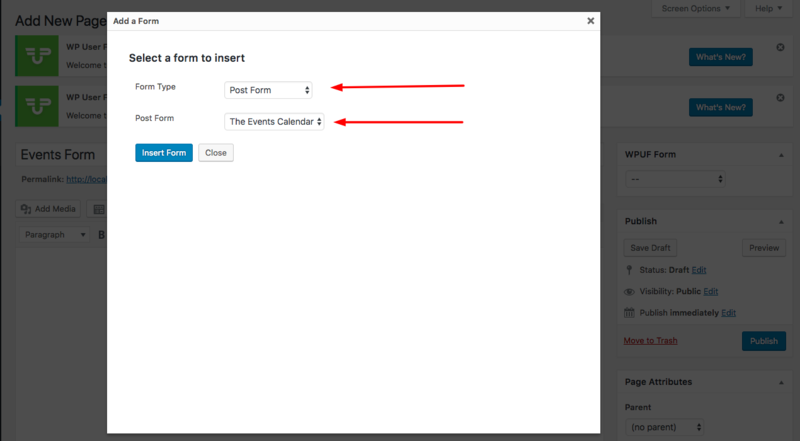 After publishing the form, users can fill out to create events. Users can create Venues and Organizers and select predefined Categories directly from the form. 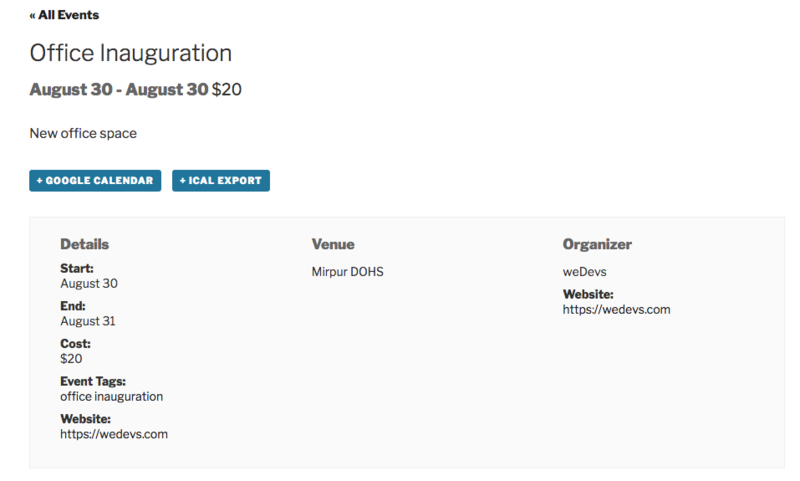 Admins can predefine Event Categories, Venues, Organizers from wp-admin→Events. To finish submission, click on Create Event. Upon submission, users will be able to see a summarized version of the details they've entered upon. Admins can access, view and edit all events created by site users from wp-admin→Events→All Events. Admins can also remove events from here.